You're probably seen the video of a Department of State employee explaining how he cleverly skirts the Hatch Act prohibition on doing partisan political activities in his government workplace. He simply keeps his political work in draft until after office hours. Then “as soon as 5:31 hits" he sends it out. That will work, right? No, it turns out it won't. If Mister Karaffa had read the Office of Ethics and Financial Disclosure's rules on prohibited political activities he would have learned that a domestically-assigned Civil Service employee such as himself may not engage in any political activity, even while off duty, while he is in a government office or building, including while using a personal device, or even while in any room or building occupied in the discharge of official duties by a U.S. Government official. Karaffa could have come in the office after midnight or on a weekend, and sent his political work out from his own smart phone, and it would still have been a violation of the Hatch Act. And it doesn't help that he goes and talks about it in front of a hidden camera, either, of course. People both inside and outside the federal government like to believe that it’s “impossible” to fire a federal employee. The truth is, it’s only hard for a supervisor who doesn’t counsel their employees and keep a paper trail of infractions and attempted remediation. But aside from that, there are two ways to lose your job in the federal government quickly. One is to mess around with classified information. The other is to violate the Hatch Act. The latest person who is about to learn this lesson is Stuart Karaffa, a Management and Program Analyst with the State Department’s Bureau of Overseas Buildings Operations. Karaffa is also active in the Democratic Socialists of America (DSA). That alone is not a problem. But conservative undercover journalist James O’Keefe caught Karaffa on hidden camera admitting that he does much of his DSA work while on the job at State. That’s a problem. Karaffa told O’Keefe’s undercover journalists that “As soon as 5:31 hits, got my like draft messages ready to send out.” Sorry, Stuart. It’s not just the clock, it’s the fact that you’re still inside the building. Karaffa should expect a call soon from investigators at the OSC. Because while it may be difficult for a supervisor to fire a federal worker, the OSC, working through the Merit Systems Promotion Board, can and will remove someone who has violated the Hatch Act from federal service. They did it twice in August alone. I am personally wounded to learn that Stuart Karaffa is one of my good friends in the Bureau of Overseas Buildings Operations. From now on, when meeting with my friends I'll have to ask whether anyone is wearing a wire. The New York Times seems to have a thing for running failed exposés about the official residences of Trump administration cabinet officers. Last week it was SecState Pompeo's new rental house that will save the taxpayer around $100,000 a year in security costs, and this week it was the new condo in UN Plaza - list price $58,000 a month - that State rented for the USUN Ambassador. 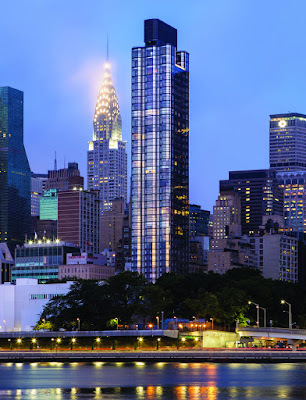 That's a lot of money, but according to press reports we used to pay a truly astonishing $135,000 a month to rent the previous official residence at the Waldorf Astoria hotel. The new place is a bargain in comparison. So, according to the NYT, the scandal here is all about the curtains in the new place. Now, really, curtains have got to be just about the most petty and insignificant of all the many things that must go into the fitting out and furnishing of a new USUN Ambassador's representational residence. Why go on about the cost of the curtains rather than, say, the security or communications costs? It's enough to make me think the NYT is insinuating Ambassador Nikki Haley was indulging herself in a Martha Stewart-ish domestic diva fit of redecorating. Check your prejudices, New York Times. The State Department spent $52,701 for customized and mechanized curtains for the picture windows in the new official residence of the ambassador to the United Nations. The residence is in a new building on First Avenue in Manhattan. For decades, American ambassadors to the U.N. lived in the Waldorf Astoria hotel. But after the hotel was purchased by a Chinese insurance company with a murky ownership structure, the State Department decided in 2016 to find a new home for its top New York diplomat because of security concerns. The current ambassador, Nikki R. Haley, is the first to live in the new residence, which has spectacular views. But a spokesman for Ms. Haley emphasized that plans to buy the mechanized curtains were made in 2016, during the Obama administration. Ms. Haley had no say in the purchase, he said. While ambassadors around the world are given residences, there are only two such residences in the United States — for the U.N. ambassador and the deputy ambassador. The ambassador’s new residence is particularly grand since it is used for official entertaining. The new curtains themselves cost $29,900, while the motors and hardware needed to open and close them automatically cost $22,801, according to the contracts. Installation took place from March to August of last year, during Ms. Haley’s tenure as ambassador. Is the NYT really surprised at those costs? 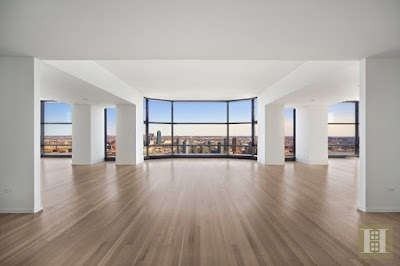 For a penthouse having a bit under 6,000 square feet of floor space and 11-foot high floor-to-ceiling windows that wrap around all four sides of the apartment, not to mention that you're paying New York City labor rates, that's the price you can expect for motorized curtains. I assume the NYT has reporters who could check with contractors that do that kind of work and, oh, I dunno, maybe get some cost estimates so that their readers would have a way to judge how out of line, or not, those costs really are. But that's not what they did. You can find a description and photos of the new residence here. 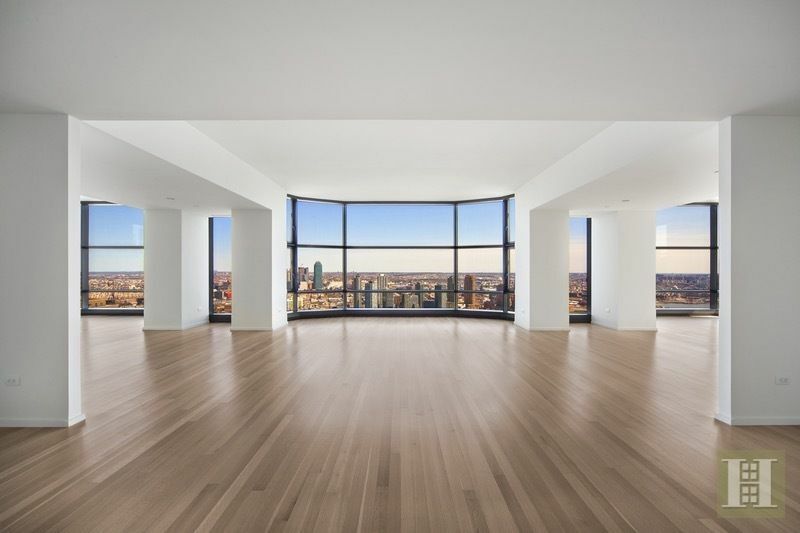 The bottom line is that the builders of NYC's high-end penthouses are just crazy about windows. 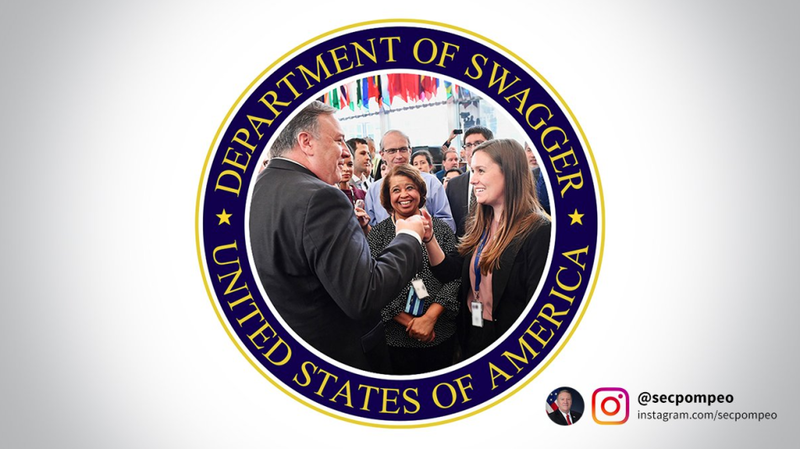 I see SecState Pompeo is persisting with the swagger thing, and is now using a "Department of Swagger" seal on his new Instagram account. Shakespeare was the first to use "swagger." Gen. Patton had his swagger stick. At @statedept, we've got some #swagger too. It's our confidence in America's values. Okay, if that's how he wants to brand himself and the Department, far be it from me to object. But can Pompeo swagger like Jagger? I think not. The New York Times has a somewhat informative story today about the State Department's plan to house SecState Pompeo on a military base, for which he will reimburse the USG at a fair market price. The benefits of this arrangement are reduced security costs and better protection than if he remained in the "modest home in Virginia" that he and his wife rent now. Sounds good to me. As a taxpayer, I'm all in favor of that. I say the story is only somewhat informative because it takes a couple odd detours. One is a long discussion of VIP military quarters on the Potomac Hill complex, which is across the street from State headquarters but not where Pompeo will live. Another is a mention that "It is not uncommon for American diplomats to try to remain in overseas posts for as long as possible — and continue receiving housing subsidies — to avoid Washington’s pricey real estate market," which has no relevance whatsoever to the matter of where the SecState lives. Is the NYT paying by the word? Because that article is padded out to about twice the length it needs. Read it here: To Secure Better Housing, Top Diplomat Pulls Rank on the Military. [SecState Pompeo] is about to receive [a housing] upgrade, courtesy of the federal government. After months of quiet back-and-forth, the Defense Department has agreed to rent Mr. Pompeo a flag officer’s home on a military base in the Washington area. Which base and what house, Heather Nauert, the State Department’s spokeswoman, declined to divulge. She said the new home would not only be modest, but would also save taxpayers more than $400,000 a year in security costs. Ms. Nauert said the department now spends more than $2 million in annualized expenses providing round-the-clock security at Mr. Pompeo’s current home in Virginia. Still, she said, the home is not in a place where his communications are fully secure. With military housing, the department could reduce its security expenses to about $1.6 million annually and provide far better protection from eavesdropping and other surveillance, she said. The NYT seems to think they've caught Pompeo red-handed at something, but just what that is isn't clear. And so far as that purported public interest in our leaders living among us, I assure you that any quarters on a military base, no matter how VIP-ish, do not compare to the exclusiveness of the private residences of our last three SecStates, such as Hillary Clinton's Georgian style mansion ($5.3 million) or John Kerry's 23-room townhouse in Georgetown ($4.7 million). And that's not even counting their other homes away from DC. 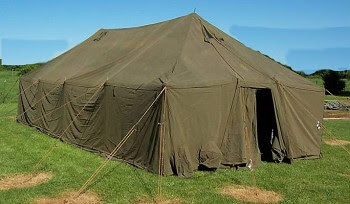 Any place that Pompeo rents on a military base will look like a tent compared to those high-end homes, for all of which the USG added security and communications features at the taxpayer's expense.